Experience the premium enhanced water, Alkalen. Electrolyte infused and hydrates much better than regular water. Alkalen water is purified according to International Standards and is then enhanced with a seven stage process to increase the pH of the water naturally that enables you to lead an active life. a High pH level up to 9.5 helps fight acidity. The Subscription delivery will happen once in 10 days with 2 boxes delivered. If you want any alterations in delivery, do mention it in additional notes while placing the order. 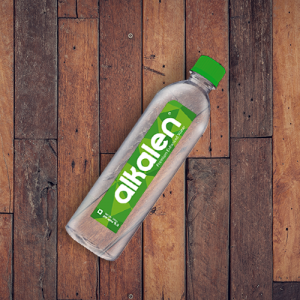 Experience the premium taste of Alkalen, A seven stage processed enhanced water, enriched with minerals having antioxidant properties. The presence of Calcium, Magnesium, Potassium and Sodium accelerates hydration and helps energize your body. What makes Alkalen a must in your health basket is its high pH level which gives it its characteristics alkaline nature. This feature is believed to help fight acid build up in the body. 6 packs of 1 Litre Alkalen bottles will be delivered in a month in the subscription plan.